If you’ve worked on a diagram and modified your shapes a lot, you may want to save them and use them later on a different project. The first step would be to create a new library. To do this simply click on the icon pointed with a red arrow, name your library and click OK.
Once you’ve created the new library group you’ll see that the library browser will turn empty. 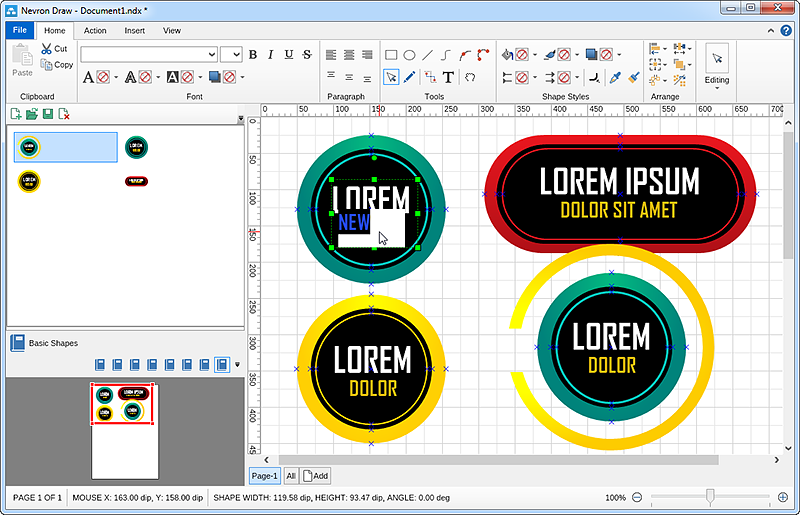 To add shapes inside, drag them directly from your diagram into the library browser window. 3. 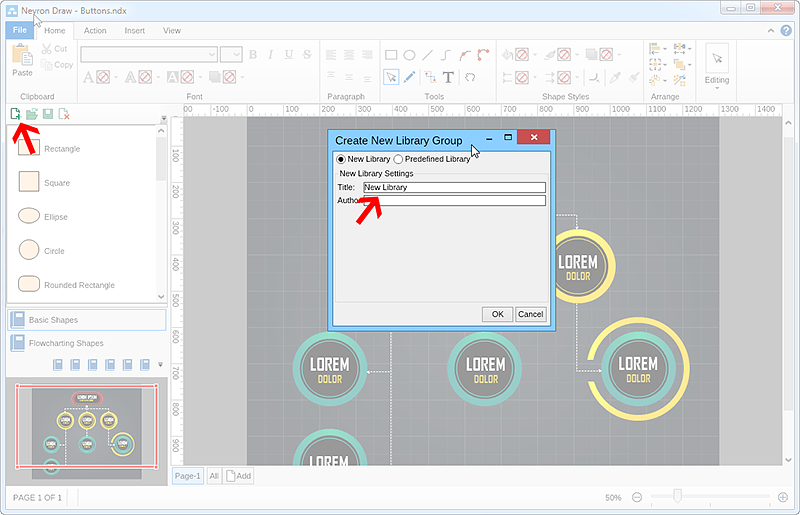 Save the library After you have added your shapes to the new library, do not forget to save it – it does not save automatically and you will not be able to use the library afterwards. Make sure you remember which folder you are saving your library in – you will need to locate it later when you want to load it again. 4. 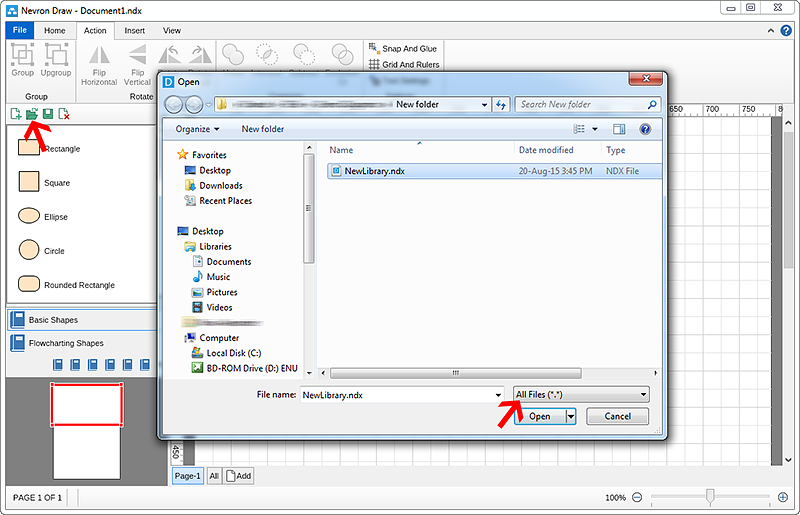 Loading the library When you need to load the saved library for another project, click the “Load Library” icon pointed with a red arrow in the screenshot below and navigate to the folder where you have it saved. 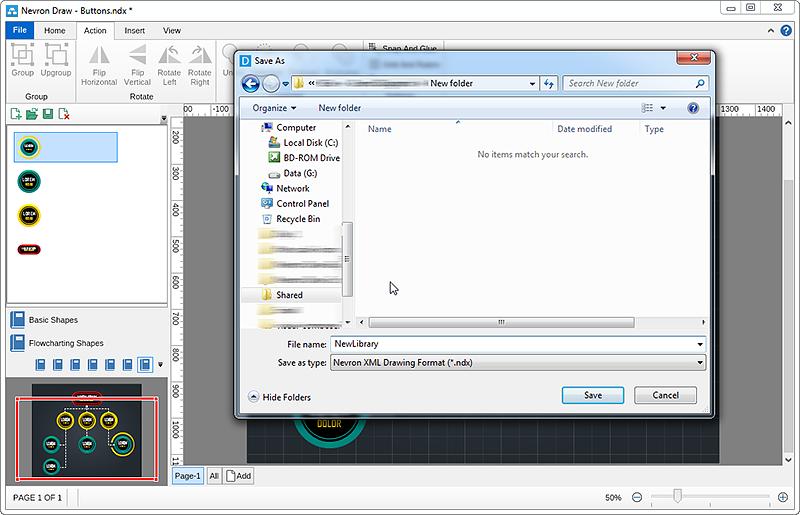 Make sure “All file types” are selected at the bottom of the “Load Window”. 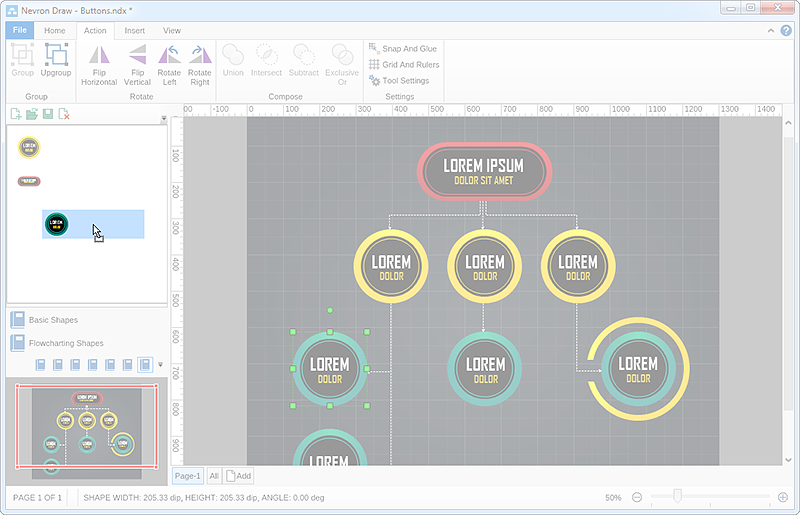 Once loaded, you can simply drag the shapes in your diagram and start editing them. You can always add a new shape to the library – just don’t forget to save it.